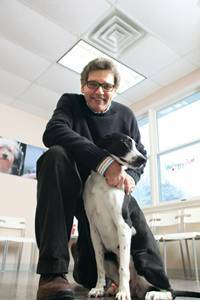 Steve's first professional position was working along side many top board certified and general practice veterinarians in Westchester County at County Animal Clinic in Yonkers, NY. Steve Diller has been working with animals since early 1973. Steve's first professional position was working along side many top board certified and general practice veterinarians in Westchester County at County Animal Clinic in Yonkers, NY. Steve became a licensed veterinary technician in September 1983 and soon afterward began teaching at Mercy College in the veterinary technology department teaching courses in clinical laboratory technique, surgical nursing, and applied animal behavior. While he practiced his technical skills in medicine during the day, Steve worked at Canine Command Dogs in Manhattan in the evenings learning how to train dogs in basic obedience and personal protection under the direction of Mr. Jack Healy and Mr. Henry Rodriguez. Steve later taught courses at The United States Canine Academy and Canine Behavioral Science Center for owner Mr. Anthony Mallardi. Dr. Stephen Daniels polished Steve's behavioral skills while Steve continued to teach veterinary technology at Mercy College; Dr. Daniels is a psychology professor at Mercy College. Steve maintains his NYS license in veterinary technology and frequently lectures at Mercy College in Dobbs Ferry NY for the veterinary technology department. When he is not teaching his human students, Steve trains approximately two to three thousand dog/owner teams yearly. Steve has been qualified in NYS Supreme Court as an expert in dog bite incidents and has published numerous articles in various publications. Steve is the author of Dogs And Their People, Choosing and Training The Best Dog For You, published by Disney Press and has appeared on national television many times throughout his career.